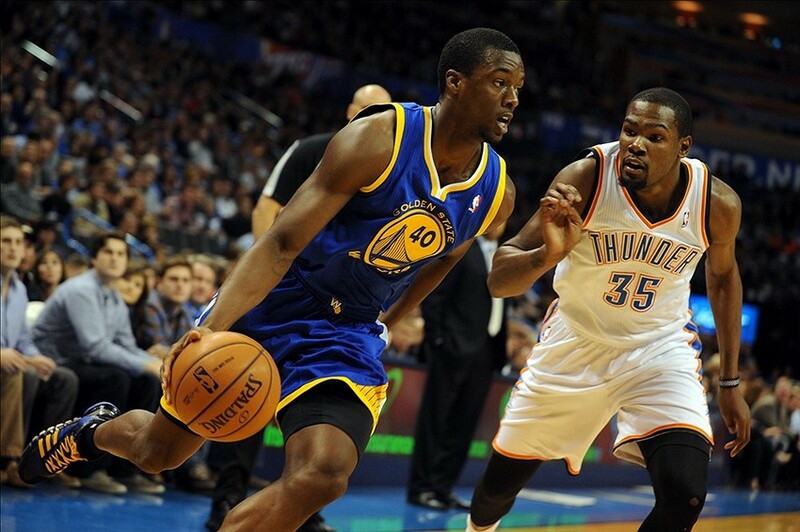 Golden State Warriors: Is Harrison Barnes Disappointing In Year 2? This article was originally published on Golden Gate Sports. The Golden State Warriors are fortunate enough to have six proven starters on their roster. Because of the addition of Andre Iguodala in the offseason, Mark Jackson decided to move Harrison Barnes to the bench. Barnes could possibly start on any other NBA team, but, with the Warriors, he’s their sixth man. Many Warriors fans feared that the addition of Iguodala would hinder Barnes’ development. Warriors fans weren’t able to see for a while though that acquiring and starting Iguodala over Barnes was the right move for the Warriors. Barnes dealt with left foot inflammation in the preseason, so, for a while, the Warriors weren’t able to see their full potential as a team until he returned to action November 6th against the Minnesota Timberwolves. In his return from injury, he played just 14 minutes off the bench and he finished with 14 points on 6-for-8 shooting. He was as dominant as he was in the playoffs and he was aggressive on offense. He created his own shots and he scored in multiple ways. Iguodala injured his hamstring a couple weeks after Barnes returned, so Barnes went back to starting. Now that Iguodala has returned from his injury though, Barnes is back to the sixth man role. Some fans have been discouraged by his production, especially since Iguodala has returned. Barnes has played in 26 games so far this season, and he’s started 15 of those games. In his 15 games as a starter, he’s averaging 14.3 points, 4.7 rebounds and 2.2 assists in 38.7 minutes per game. In 11 games as a reserve, he’s averaging 9.3 points, three rebounds and one assist in 23.2 minutes per game (similar to his stat line as a rookie last season). Overall this season, he’s averaging 12.2 points, four rebounds and 1.7 assists in 32.1 minutes per game. Statistically, it’s clear that Barnes produces more as a starter, but this is true of many players, given the higher amount of minutes as a starter. His stat line might not be as impressive as when he averaged 16.1 points, 6.4 rebounds, and 1.3 assists in 38.4 minutes in 12 games during the playoffs last season. Barnes hasn’t had a disappointing season though. Part of the reason why he had so much success in the postseason last year was because David Lee was sidelined with his hip flexor injury. Because of that, he was given the opportunity to play more minutes and start at power forward. He was able to take advantage of slower power forwards and use his speed and explosiveness to his advantage. Some fans might be disappointed with Barnes’ play so far this season, he’s still developing. Not only is he developing into a completely new role of sixth man, but many people forget that he’s still only 21 years old. A significant change in a player’s role would be tough for anyone and especially for a player who is so young. He’s still developing as a basketball player, and he’s still learning how to utilize his incredible strength and athleticism. Barnes can be frustrating to watch at times. When he’s at his best, he’s aggressive, he’s dunking on people, and he’s showcasing all elements of his game. However, when he’s at his worst, he struggles to make mid-range shots, he forces himself into tough shots when he posts up, and he disappears on offense. As frustrating as this can be, Warriors fans must realize that this is normal for such a young player, especially one that has had to take on a new role this season. Barnes’ development is a process, and having Iguodala around to mentor him will certainly help. Barnes just needs to find a way to get his shots, stay aggressive and stay confident. Of course this is easier said than done for a young player, but Barnes will continue to learn and develop into his sixth man role. The Warriors still have many more games to play, so Barnes will have many more opportunities to live up to his potential.